Scott Kay, a top jewelry designer, has masterfully designed the details of this impressive engagement ring to incorporate a wonderful contrast between its gleaming platinum set against its intricately carved leaf motif. 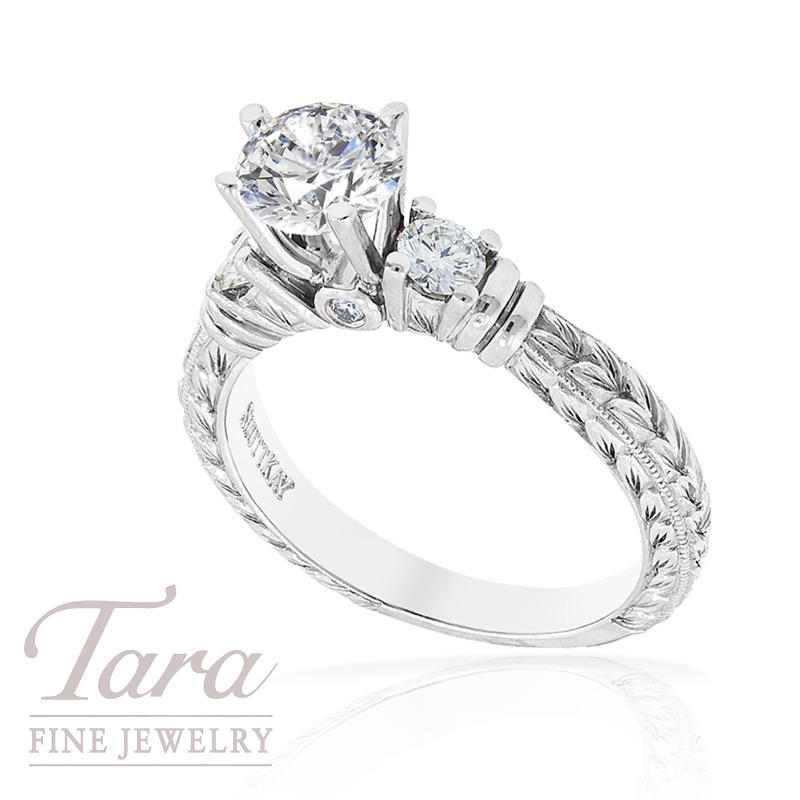 Gorgeous side diamonds .33tdw accent the personally selected center stone that is highlighted in a simple 4 prong mounting. Complete this elegant Scott Kay setting with a GIA certified loose diamond from Tara Fine Jewelry Company, a distinguished Rolex and Tag Heuer dealer. As a family owned business for over 28 years, Tara Fine Jewelry Company is conveniently located in Buford and is pleased to feature the latest styles from the most renowned jewelry designers.